As a child, Archie was very quiet but very mischievous - especially when he was with his brother Quentin; growing up, Archie and Quentin were very close. They rarely left each other's side and had very few fights. But as for the other siblings, Archie was not close to either Kermit or Ethel, because they would gang up on him. Ted would help beat up Kermit for him and would also tell their mother, Edith, about Ethel, who would often get in trouble. Alice was ten years older than Archie, and he barely remembered her being around, since she would often go places with other family members and friends. Archie was an avid reader and very good at putting puzzles together quickly. His father remarked to him, "Archie, my smart boy, never give up your smartness; that goes for you and your brother Quentin." Archie first attended the Force School and Sidwell Friends School. After being expelled from Groton, Archie continued his education at the Evans School for Boys,  and graduated from Phillips Academy, Andover, Mass., in 1913. He went on to Harvard University, where he graduated in 1917. Sidwell Friends School is a highly selective Quaker school located in Bethesda, Maryland and Washington, D.C., offering pre-kindergarten through secondary school classes. Founded in 1883 by Thomas Sidwell, its motto is "Eluceat omnibus lux", alluding to the Quaker concept of inner light. All Sidwell Friends students attend Quaker meeting for worship weekly, and middle school students begin every day with five minutes of silence. Groton School is a private Episcopal college preparatory boarding school located in Groton, Massachusetts, United States. It enrolls about 370 boys and girls, from the eighth through twelfth grades. Tuition, room and board and required fees in 2014–15 amounted to $56,700 ; 38% of the students receive financial aid. The school is a member of the Independent School League. There are many famous alumni in business, government and the professions, including Franklin D. Roosevelt. Archie was born in Washington, D.C., the fourth child of President Theodore "T.R." Roosevelt, Jr. and Edith Kermit Carow. He had three brothers, Ted (Theodore III), Kermit, and Quentin, a sister Ethel, and a half-sister Alice. Archie was named for his maternal great-great-great-grandfather Archibald Bulloch, a patriot of the American Revolution. Edith Kermit Carow Roosevelt was the second wife of President Theodore Roosevelt and served as the First Lady of the United States during his presidency from 1901 to 1909. She also served as the Second Lady of the United States in 1901. Roosevelt was the first First Lady to employ a full-time, salaried social secretary. Her tenure resulted in the creation of an official staff, and her formal dinners and ceremonial processions served to elevate the position of First Lady. 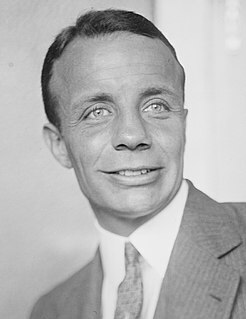 Theodore "Ted" Roosevelt III, known as Theodore Roosevelt Jr., was an American government, business, and military leader. He was the eldest son of President Theodore Roosevelt and First Lady Edith Roosevelt. Roosevelt is known for his World War II service, including the directing of troops at Utah Beach during the Normandy landings, for which he received the Medal of Honor. His first cousin was Eleanor Roosevelt and his fifth cousin, once removed was Franklin D. Roosevelt. He was uncle to Kermit Roosevelt Jr., Joseph Willard Roosevelt, Dirck Roosevelt, Belle Wyatt "Clochette" Roosevelt, Grace Green Roosevelt, Theodore Roosevelt III, Cornelius V.S. Roosevelt, and Quentin Roosevelt II. His sister-in-law was Belle Wyatt Willard Roosevelt, and his grandniece was Susan Roosevelt Weld, the former wife of Massachusetts Governor William F. Weld. 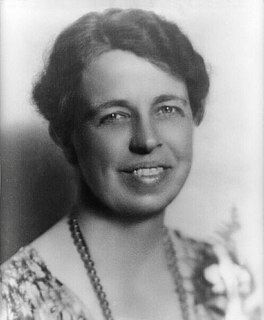 Anna Eleanor Roosevelt was an American political figure, diplomat and activist. She served as the First Lady of the United States from March 4, 1933 to April 12, 1945 during her husband President Franklin D. Roosevelt's four terms in office, making her the longest serving First Lady of the United States. Roosevelt served as United States Delegate to the United Nations General Assembly from 1945 to 1952. President Harry S. Truman later called her the "First Lady of the World" in tribute to her human rights achievements. Kermit "Kim" Roosevelt Jr., a grandson of U.S. president Theodore Roosevelt, was a Harvard-educated career intelligence officer who served in the Office of Strategic Services, forerunner to the Central Intelligence Agency (CIA), during and following the second world war, went on to found Arabist organizations such as the American Friends of the Middle East, and then to play the lead role in the CIA-sponsored overthrow of Mohammad Mossadegh, the democratically elected leader of Iran, in August 1953. He was asked to lead the CIA-sponsored 1954 coup in Guatemala but refused, arguing that the government of Jacobo Árbenz had the support of the Guatemalan people. Archie volunteered for the United States Army during 1917, shipped over to France, and was wounded while serving with the U.S. 1st Infantry Division. His wounds were so severe he was discharged from the Army with full disability. He had ended the war as an Army captain. 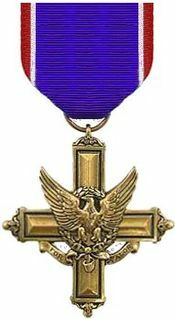 For his valor, Archie received two Silver Star Citations (later converted to the Silver Star medal when it was established in 1932) and the French government's Croix de Guerre. After the death of his father in 1919, he was the one who sent the telegram informing all his siblings that "the old lion is dead". 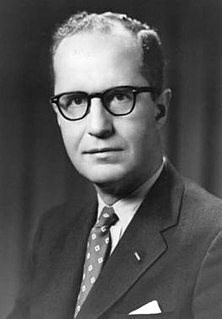 After the end of the war, he worked for a time as an executive with the Sinclair Consolidated Oil Company, as vice president of the Union Petroleum Company, the export auxiliary subsidiary of Sinclair Consolidated. At the same time his eldest brother Ted was Assistant Secretary of the Navy. In 1922, Albert B. Fall, U.S. Secretary of the Interior, leased, without competitive bidding, the Teapot Dome Field to Harry F. Sinclair of Sinclair Oil, and the field at Elk Hills, California, to Edward L. Doheny of Pan American Petroleum & Transport Company, both fields part of the Navy's petroleum reserves. The connection between the Roosevelt brothers could not be ignored. After Sinclair sailed for Europe to avoid testifying, G. D. Wahlberg, Sinclair's private secretary, advised Archibald Roosevelt to resign to save his reputation. 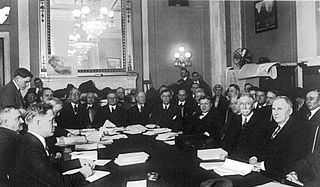 Eventually, after resigning from Sinclair, Roosevelt gave key testimony to the Senate Committee on Public Lands probing the Teapot Dome scandal, in which Roosevelt was not implicated, but where Sinclair and Doheny both gave "personal loans" to Secretary Fall. Following this, Roosevelt took a job working for a cousin in the family investment firm, Roosevelt & Son. Albert Bacon Fall was a United States Senator from New Mexico and the Secretary of the Interior under President Warren G. Harding, infamous for his involvement in the Teapot Dome scandal. As a captain in the United States Army he supported a military invasion of Mexico in 1916 as a means of ending Pancho Villa's raids. Edward Laurence Doheny was an American oil tycoon who, in 1892, drilled the first successful oil well in the Los Angeles City Oil Field. His success set off a petroleum boom in Southern California, and made him a fortune when, in 1902, he sold his properties. The Teapot Dome scandal was a bribery scandal involving the administration of United States President Warren G. Harding from 1921 to 1923. Secretary of the Interior Albert Bacon Fall had leased Navy petroleum reserves at Teapot Dome in Wyoming, and two locations in California, to private oil companies at low rates without competitive bidding. The leases were the subject of a sensational investigation by Senator Thomas J. Walsh. Convicted of accepting bribes from the oil companies, Fall became the first presidential cabinet member to go to prison; no one was convicted of paying the bribes. War in the Pacific – New Guinea Campaign's "Operation Cartwheel"
On August 12, 1943, Roosevelt was wounded by an enemy grenade which shattered the same knee which had been injured in World War I and for which he had been earlier medically retired, earning him the distinction of being the only American to ever be classified as 100% disabled twice for the same wound incurred in two different wars. At the time of his injury, command of his battalion passed to his executive officer, Major Taylor. Archie returned to his unit in early 1944. For these actions in the Pacific Theater of Operations, Roosevelt was awarded his second and third oak leaf clusters to the Silver Star in lieu of additional awards. Following the end of the war, Archie Roosevelt formed the investment firm of Roosevelt and Cross, a brokerage house specializing in municipal bonds. It is still a going concern with offices in New York City, Providence, Buffalo and Hartford. In 1953 he joined the Empire State Society of the Sons of the American Revolution of which both his father and elder brother had been members. In 1971, Archie's wife, Grace Lockwood Roosevelt, died in an automobile crash near her home on Turkey Lane in Cold Spring Harbor, with her husband at the wheel. On October 13, 1979, Roosevelt died of a stroke at the Stuart Convalescent Home in Stuart, Florida. He was 85 years old, the last child of Theodore and Edith to die (although his half-sister Alice would outlive him by four months). He is buried with his wife at Young's Cemetery, Oyster Bay. His tombstone reads: "The old fighting man home from the wars." Archibald Bulloch was a lawyer, soldier, and statesman from Georgia during the American Revolution. He was also a great-grandfather of Martha Bulloch Roosevelt, and great-great-grandfather of Theodore Roosevelt, the 26th President of the United States. Theodore Roosevelt IV, commonly known as Theodore Roosevelt III, was an American banker, government official, veteran of World War II, and a grandson of President Theodore Roosevelt through his father, Brig. Gen. Theodore Roosevelt Jr., a politician and World War II military leader, and Eleanor Butler Alexander. His name suffix varies since President Roosevelt's father was Theodore Roosevelt Sr., though the same-named son did not commonly use a "Jr" name suffix. 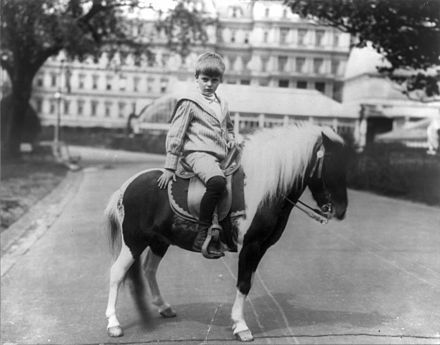 Quentin Roosevelt was the youngest son of President Theodore Roosevelt and First Lady Edith Roosevelt. Family and friends agreed that Quentin had many of his father's positive qualities and few of the negative ones. Inspired by his father and siblings, he joined the United States Army Air Service where he became a pursuit pilot during World War I. Extremely popular with his fellow pilots and known for being daring, he was killed in aerial combat over France on Bastille Day, 1918. As of 2019, he is the only son of a US President to die in combat. 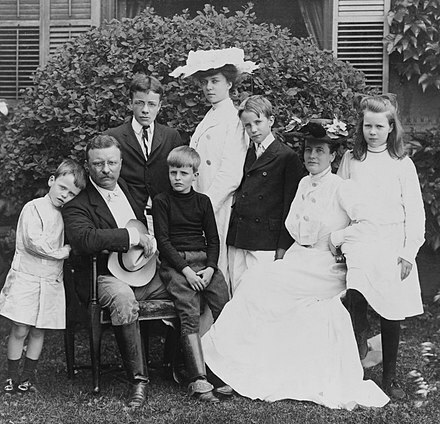 The Roosevelt family is an American business and political family from New York whose members have included two United States Presidents, a First Lady, and various merchants, politicians, inventors, clergymen, artists, and socialites. Progeny of a mid-17th century Dutch immigrant to New Amsterdam, many members of the family became locally prominent in New York City business and politics and intermarried with prominent colonial families. Two distantly related branches of the family from Oyster Bay on Long Island and Hyde Park in Dutchess County rose to national political prominence with the elections of Presidents Theodore Roosevelt (1901–1909) and his fifth cousin Franklin D. Roosevelt (1933–1945), whose wife, First Lady Eleanor Roosevelt, was Theodore's niece. Theodore "Thee" Roosevelt Sr. was an American businessman and philanthropist from the Roosevelt family. Roosevelt was also the father of President Theodore Roosevelt and the paternal grandfather of First Lady Eleanor Roosevelt. He served as a member of the plate-glass importing business Roosevelt & Son. John Kirk Singlaub is a highly decorated former OSS officer, a founding member of the Central Intelligence Agency (CIA), and a retired major general in the United States Army. In 1977, Singlaub was relieved from his position as Chief of Staff of U.S. forces in South Korea after criticizing President Jimmy Carter's proposal to withdraw U.S. troops from the Korean peninsula in an interview with the Washington Post. Less than a year later, Singlaub was forced to retire after publicly questioning President Carter's national security policies. In 1979, Singlaub founded the Western Goals Foundation, a private intelligence network that was implicated for supplying weapons to the Contras during the Iran-Contra affair. Singlaub has contributed to several books and written an autobiography. Bulloch Hall is a Greek Revival mansion in Roswell, Georgia, built in 1839. It is one of several historically significant buildings in the city and is listed on the National Register of Historic Places. This is where Martha Bulloch Roosevelt ("Mittie"), mother of Theodore Roosevelt, 26th U.S. President, lived as a child. It is also where she married Theodore Roosevelt's father, Theodore Roosevelt, Sr. 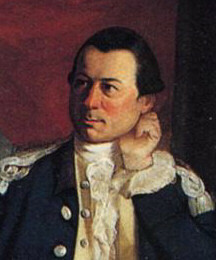 The Roosevelt family are descendants of Archibald Bulloch, the first Governor of Georgia (1730-1777). Ethel Carow Roosevelt Derby was the youngest daughter and fourth child of the President of the United States Theodore Roosevelt. Known as The Queen of Oyster Bay and The First Lady of Oyster Bay by its Long Island residents, Ethel was instrumental in preserving both the legacy of her father as well as the family home, "Sagamore Hill" for future generations, especially after the death of her mother, Edith, in 1948. Tweed Roosevelt is the great-grandson of President Theodore Roosevelt via Roosevelt's son Archibald Bulloch Roosevelt, and his son Archibald (Jr). He is Chairman of Roosevelt China Investments, a Boston firm. He occasionally lectures and writes on the topic of his great-grandfather. He is the President of the Board of Trustees of the Theodore Roosevelt Association. Archibald Bulloch Roosevelt, Jr., the first child of Archibald Bulloch Roosevelt and grandson of U.S. President Theodore Roosevelt, was a soldier, scholar, polyglot, authority on the Middle East, and career CIA officer. He served as chief of the Central Intelligence Agency's stations in Istanbul, Madrid and London. Roosevelt had a speaking or reading knowledge of at least twenty languages. James Stephens Bulloch was an early Georgia settler and planter. He was a grandson of Georgia governor Archibald Bulloch and a nephew of Senator William Bellinger Bulloch. He was also the grandfather of President Theodore Roosevelt and the great-grandfather of First Lady Eleanor Roosevelt. 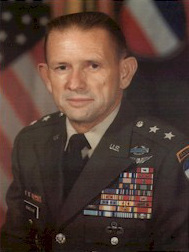 Jack Neil Merritt was a United States Army four-star general who served as U.S. Military Representative, NATO Military Committee (USMILREP) from 1985 to 1987. General William Gilbert Townsend Tuttle Jr. is a retired United States Army four-star general who served as Commanding General, United States Army Materiel Command from 1989 to 1992. John Walter Hendrix is a retired United States Army four-star general, and served as Commander, United States Army Forces Command from 1999 to 2001. ↑ On right wing politics, see citations below related to the section "Right Wing Firebrand". ↑ Stephen, Hansen. "InTowner Publishing Corp. » The Force School: Alma Mater to Presidents' Son, a Count, and a World-Famous Aviator" . Retrieved 19 December 2018. ↑ Theodore Roosevelt (1916) A Book-Lover's Holidays in the Open. New York: Charles Scribner's sons. ↑ "Scandal?". TIME . January 28, 1924. ↑ "HEROES: Again, Bonuseers". TIME . September 12, 1932. ↑ "National Affairs: Economy Lobby". TIME . January 2, 1933. ↑ HyperWar: US Army in WWII: CARTWHEEL-The Reduction of Rabaul. Ibiblio.org. Retrieved on 2011-06-12. 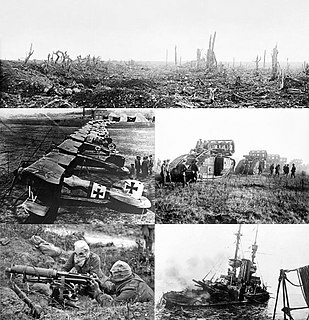 ↑ Army Air Forces in World War II Archived 2009-02-12 at the Wayback Machine . Usaaf.net. Retrieved on 2011-06-12. ↑ Roosevelt & Cross Inc. – Specialists in Municipal Bonds, since 1946. Roosevelt-cross.com. Retrieved on 2011-06-12. ↑ Stephen Hess. America's Political Dynasties. (Doubleday, 1966.) pp. 137–38. ↑ Daniel Bell, Editor. The Radical Right, Third Edition. (New York: Transaction Publishers, 2001), p. 333. ↑ Edward Renehan. The Lion's Pride. (Oxford University Press, 1998). p. 244. ↑ Zygmund Dobbs. The Great Deceit: Social Psedo-Sciences. (Sayville, NY: The Veritas Foundation, 1964.) p. vi. ↑ Leary, Warren E. (10 April 1992). "Explorers of Amazon Branch Retrace Roosevelt Expedition". The New York Times . Retrieved 18 October 2016. Wikimedia Commons has media related to Archibald Roosevelt . "Archibald Roosevelt". Find a Grave . Retrieved 2008-02-09.